If it’s too hot right now to turn on the oven where you are, save this recipe for later, because it is easy and delicious. 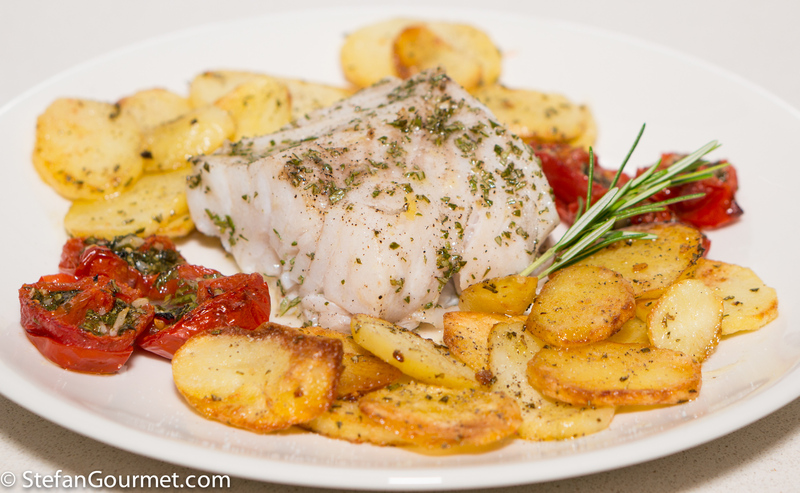 Cod, potatoes, and tomatoes are all cooked together in the oven with garlic and herbs (the tomatoes with basil, the cod and potatoes with rosemary). The only difficult part to get right is the timing, because the potatoes should be golden when the fish is just cooked through. Cod is even more susceptible to overcooking than other types of fish, and will become bland and dry if you are not careful. 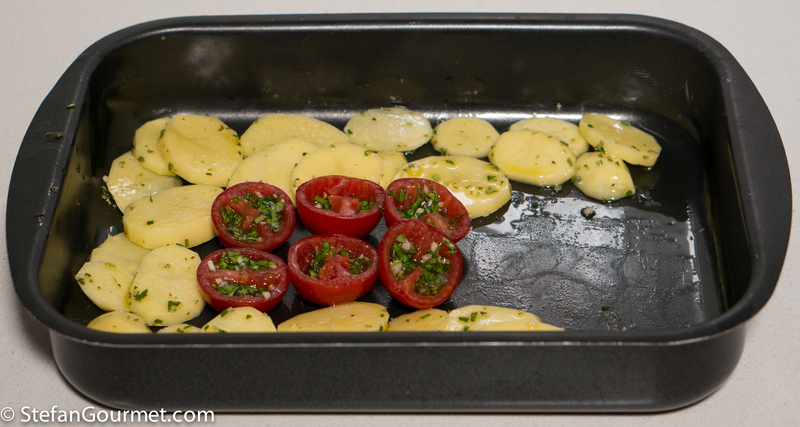 And so the potatoes and tomatoes go in the oven 10 minutes before the fish. To take the guesswork out of getting the fish right, it is advisable to use a thermometer with a probe. If you pull the fish at a core temperature of 45C/113F (taking into account it will continue to cook a bit from the residual heat), it will be flaky but still juicy. Preheat the oven to 225C/440F (fan forced). 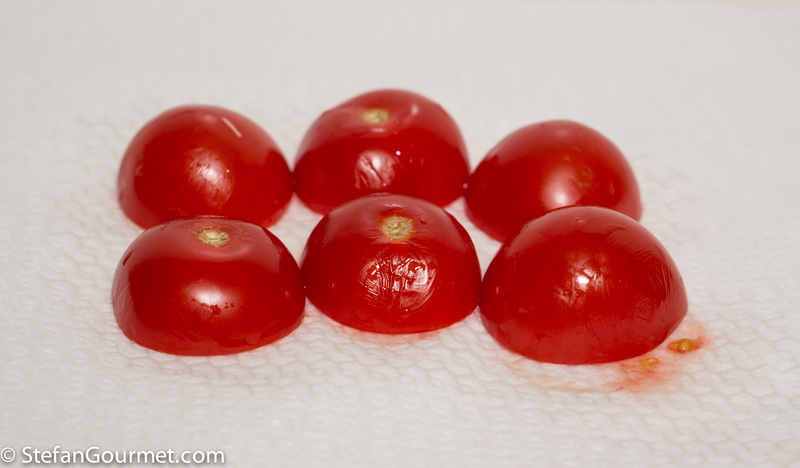 Cut the tomatoes in half crosswise and remove the seeds (with your fingers). 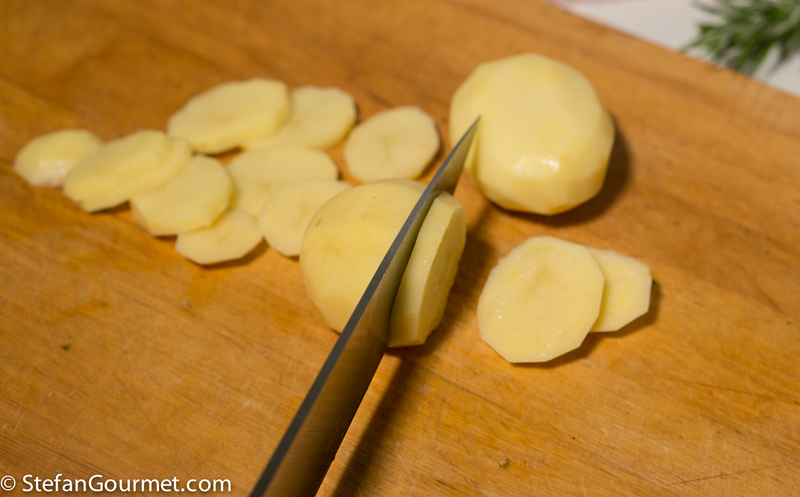 Put them upside down on kitchen paper to drain while you peel the potatoes. 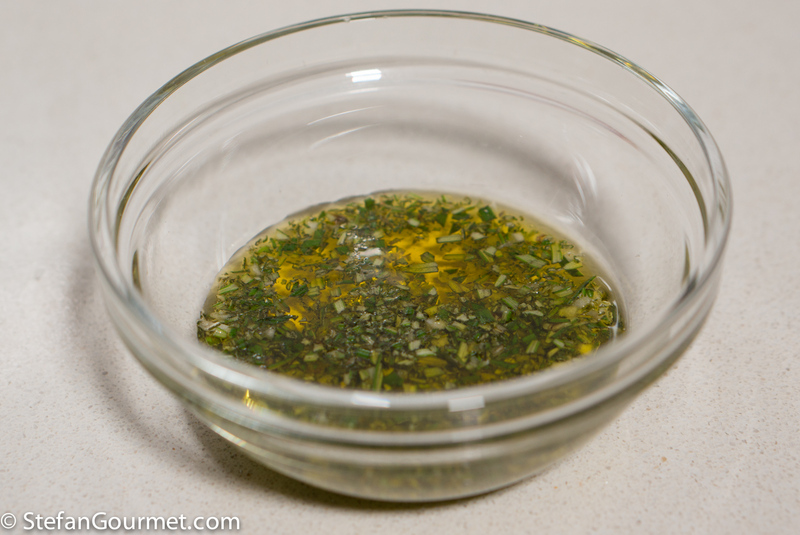 Mix a minced clove of garlic with a tablespoon of minced rosemary and extra virgin olive oil in a small bowl. 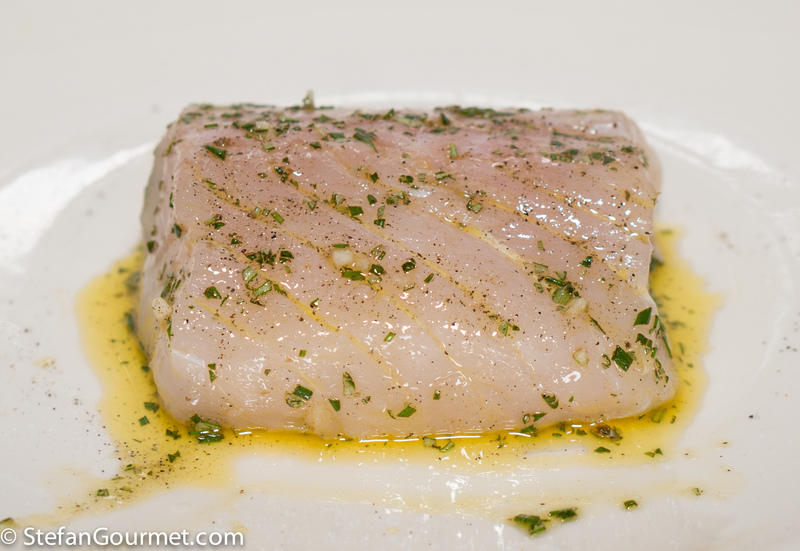 Season each piece of cod with salt and freshly ground black pepper on all sides. Brush with the rosemary mixture on all sides. 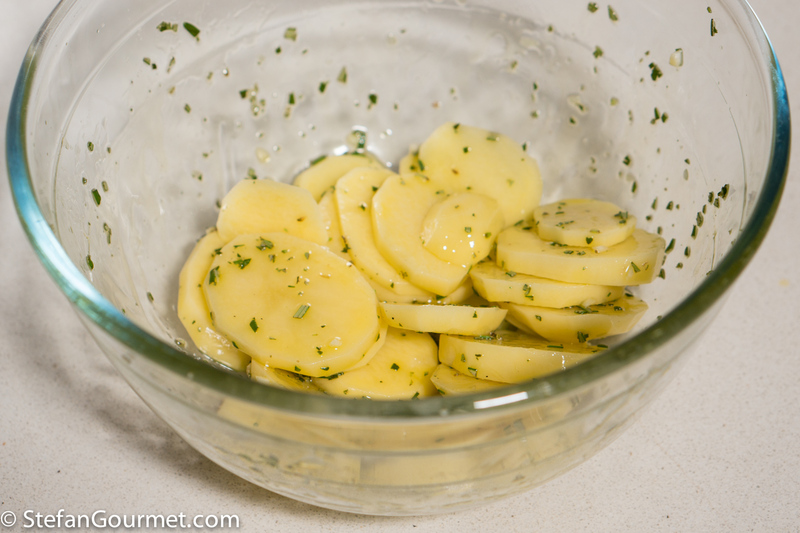 Mix the remaining rosemary mixture with the sliced potatoes in a large bowl. 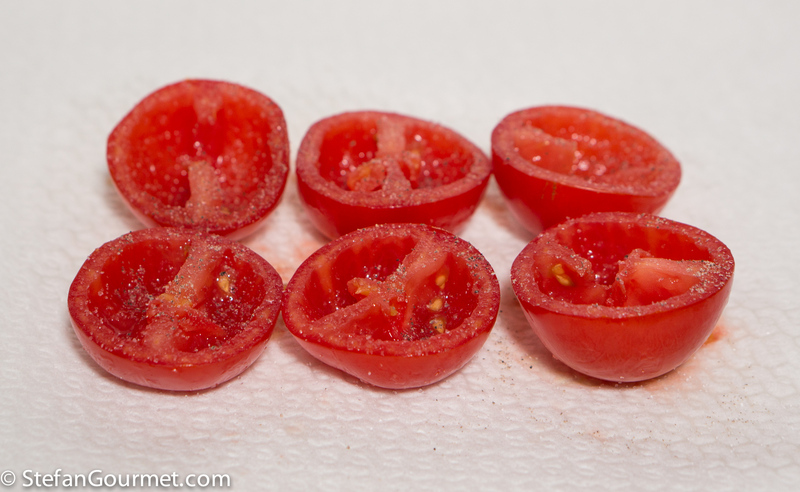 Season the tomatoes with salt and freshly ground black pepper on the cut side. 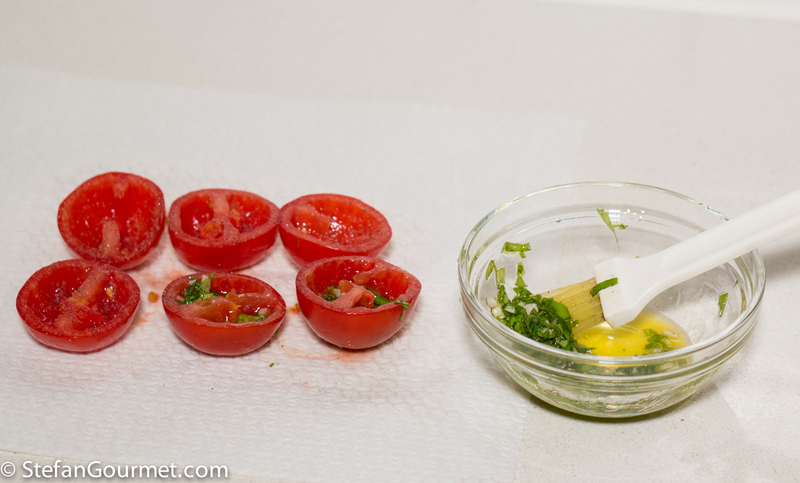 Mix a tablespoon if finely sliced basil with a minced clove of garlic and olive oil in a small bowl, and put this mixture in the tomatoes. 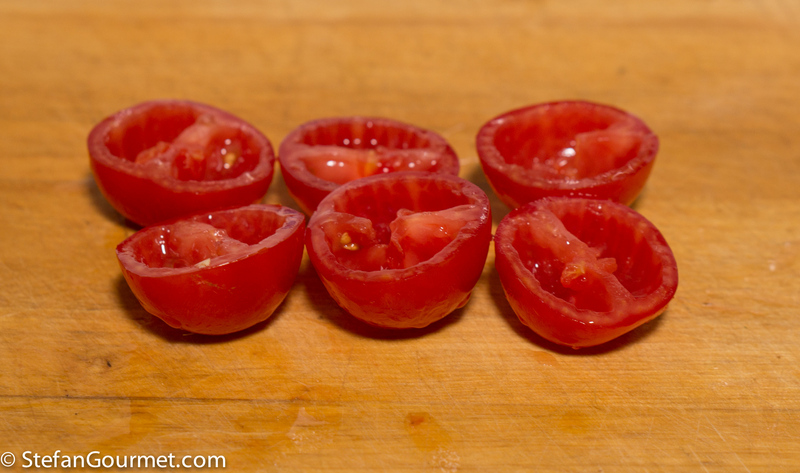 Lightly grease an oven dish with olive oil and arrange the tomatoes (cut side up) and potatoes in a single layer. Bake for 10 minutes at 225C/440F (fan forced). Turn the potatoes and put the cod in the same oven dish, with the probe of the thermometer inserted in the center (if using). 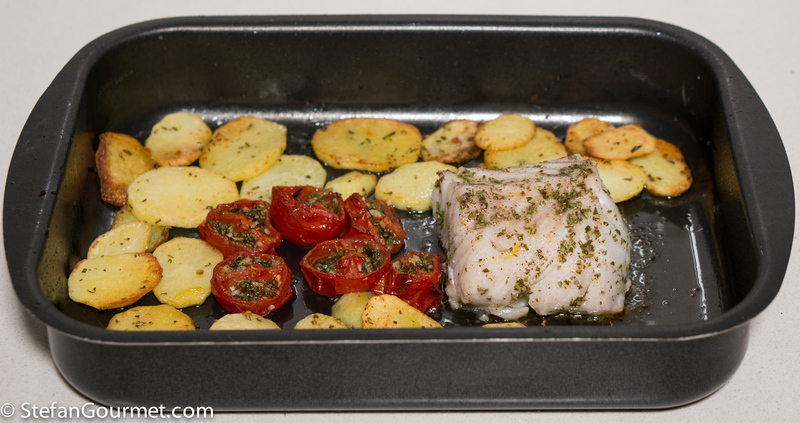 Bake at 225C/440F until the core temperature of the cod is 45C/113F or until the cod is just cooked through and the potatoes are golden, about 10 minutes. 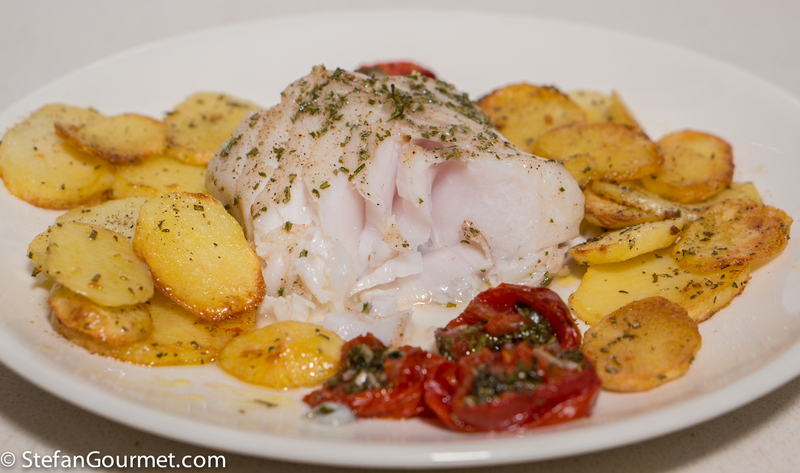 If not using a thermometer, you may need to adjust the cooking time according to the thickness of the cod. 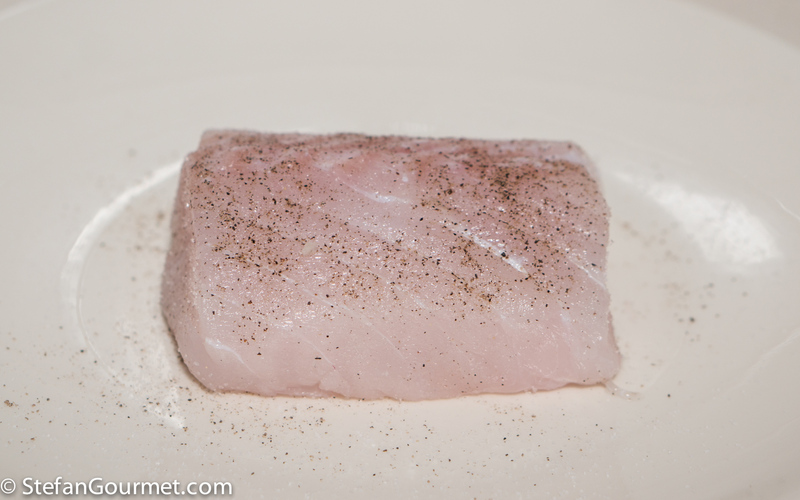 My piece of cod was about 4 cm (1.5 inch) thick. Plate everything on preheated plates and serve. This dish calls for a medium-bodied dry white with some mature notes because of the garlic and rosemary. This 5 year old Castelli di Jesi Verdicchio Riserva was outstanding with it. 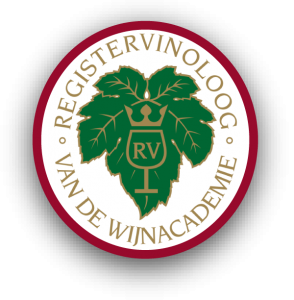 It has been aged in large oak, and there is no vanilla or butter but it does have some great mature notes. 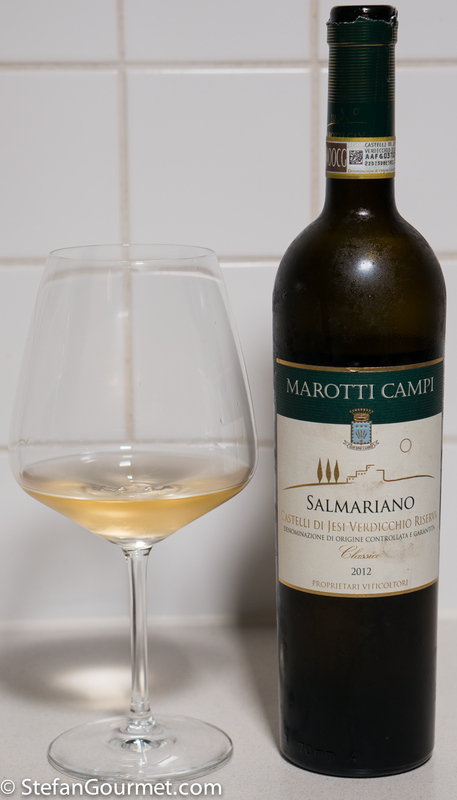 The verdicchio grape is the main variety for white wines in the Marche region in Italy. It is also used in Lugana under the name Trebbiano di Lugana. 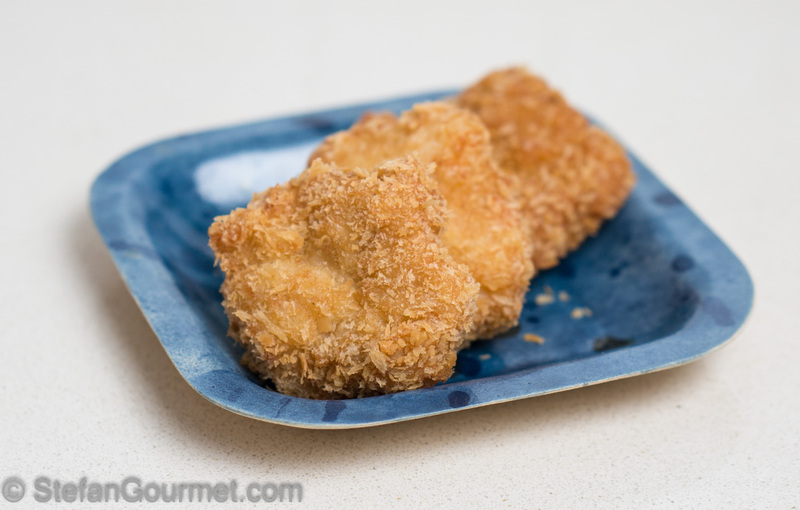 These thai shrimp cakes were really good — I should make them again! I’m suprised Stefan, as this is yet another non-sous-vide dish 😉 Looks great though! I would turn on my oven any time of the year to make this dish! *huge smile* May I second Chef Mimi ! I DO turn on my oven any time of the year, even 40C+ here during our summers . . . perhaps ours are ‘better insulated’ !!! Fast and gorgeous . . . . oh, I am envious of your patience: my cooking dish would ne’er be so beautifully arranged . . .
LOL. I don’t have a lot of patience. 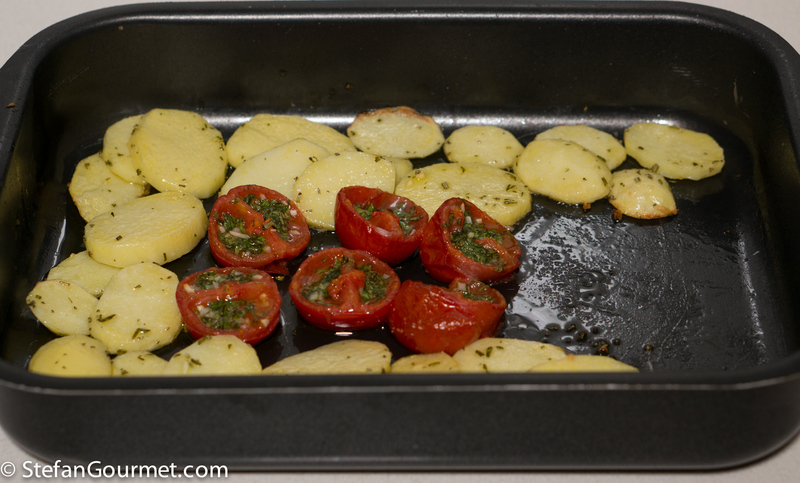 It is important though that the potatoes are in a single layer, or they won’t brown. 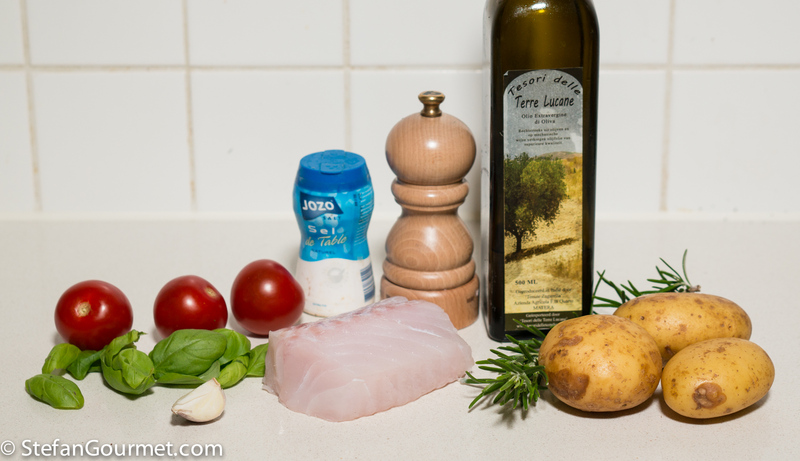 Ok, buono, ma sentirai che pesce in Sardegna!